The Speedway National final proved to be very exciting with Dan Weicht holding off the hard charging Chad Rall for the win. It was one of the wettest Springs on record in Ohio, but Mother Nature turned on the sunshine for the Speedway Long Track National at Bike Days on Memorial Weekend, and the limestone half mile cushion track set the stage for great racing. Matt George teamed up with the Bike Days track maintenance staff, who did a great job of keeping the track fast and safe. 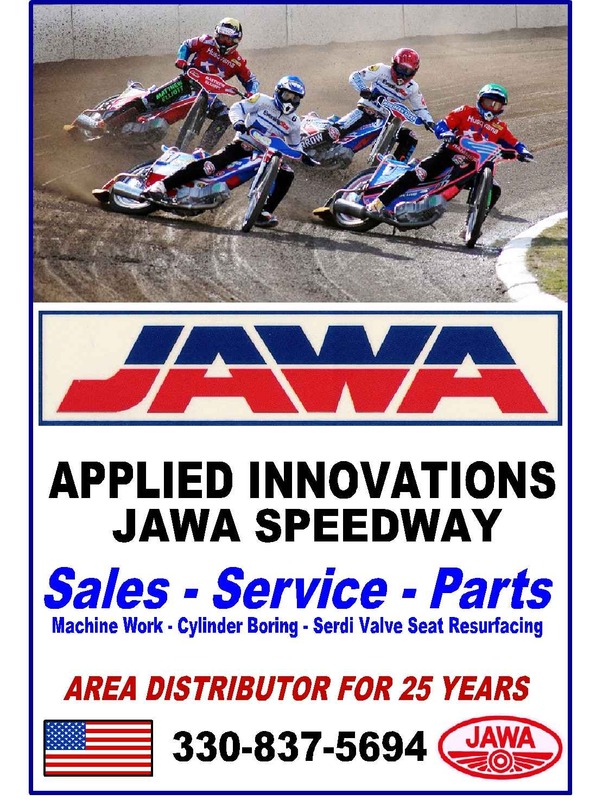 Sponsors of the event include: Freedom Harley-Davidson, Miller Lite Racing - Barnett, Dixie Int., Kames Sports, KK M-C Supply, Moose Racing, PJ's Fabricating and Wiseco. In heat race one Dan Weicht got the hole shot and won wire to wire, with Jon Massie in second and Ronnie Rall third. In heat race two Chad Rall made the gate with Mike Hammond in second and Dave Weicht in third. Rall went on to win the heat, Hammond had problems on lap three and Dave Weicht took the second place finish with Kevin Sexton taking third. Heat race three saw Hammond come back with a great start and a heat win, followed by Ronnie Rall in second and Carl Estes made a pass on lap two to take the third place finish position. Heat race four was full of action when Dan Weicht got the early advantage with a great start. Chad Rall was second with Jon Massie third. Weicht maintained the lead for the first lap, but on lap two Rall charged and made the move to take the lead and the win. B Main - AMA Hall of Famer Ronnie Rall made a great start and never looked back, Dave Weicht took second, Sexton in third and Estes fourth. A Main - Dan Weicht came out of the traps first with Mike Hammond second, Rall third and Massie fourth. By lap two Rall was second and applying pressure to the leader but lap after lap Weicht continued to push the GEARS sponsored Jawa long tracker deep into the turns and went on to win his first National Championship and the Lion's share of the $3,000 dollar purse, contingencies, and new helmets courtesy of Dixie distributing. He placed 3rd in the 2010 SLTNC. Chad Rall took his Breece H-D, Alva Lee Racing sponsored Jawa to second place and in third Mike Hammond the only Canadian on the box with his Toads Emissions, Sandvik Coromant Jawa. The 4th place wrap up spot was Jon Massie on his Massie Trucking and Rigging Jawa. 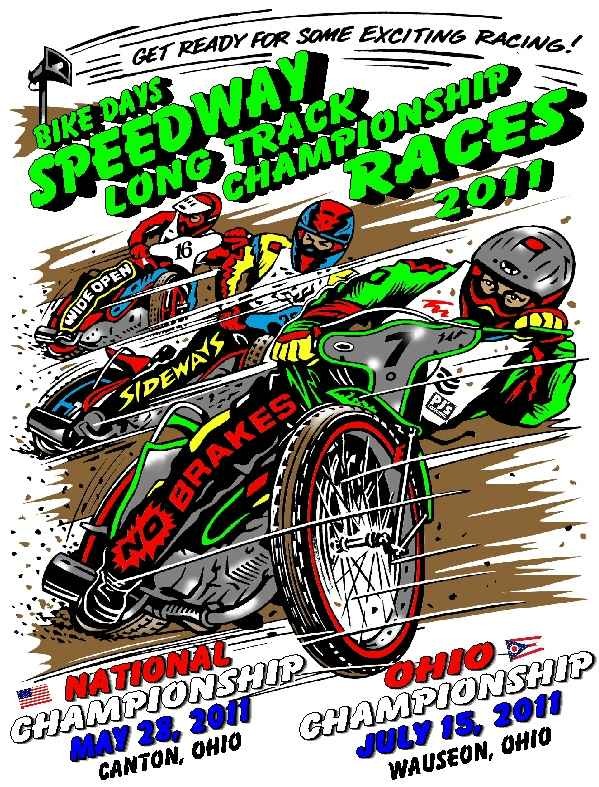 The next Speedway L-T Championship is the Ohio Speedway Long Track Championship that will be held in Wauseon, Ohio on Friday, July 15, 2011. It's combined with a great night of Antique Motorcycle racing during the 29th annual AMCA National meet at the Fulton County Fairgrounds in Wauseon, Ohio. 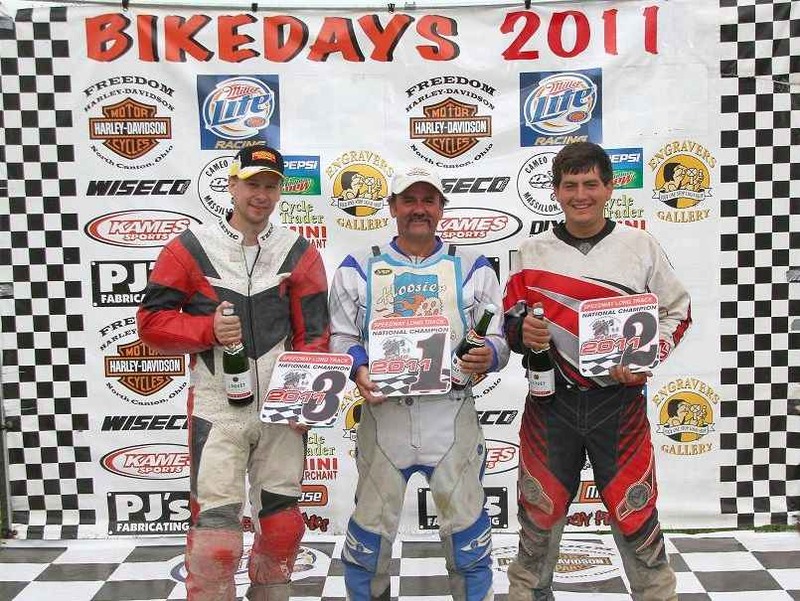 2011 Speedway Long Track National Championship. with runner-up Chad Rall and Mike Hammond third.